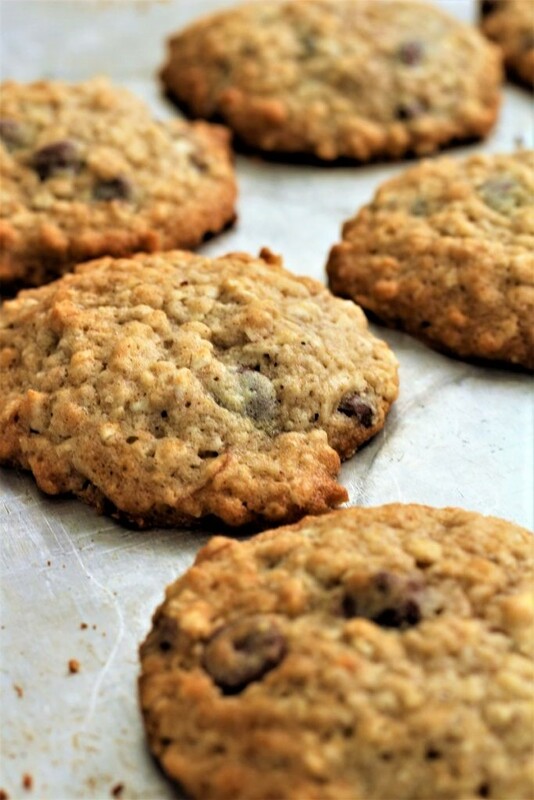 Oatmeal banana cookies are so soft and loaded with chocolate. Perfect when you have a couple of extra ripe bananas. This amazing recipe is from my sister-in-law. I thought to myself, I can put these extra ripe bananas in the garbage or I can make oatmeal banana cookies. Yep, you guessed it, I made cookies. They have such a great flavor, and they make a perfect snack. 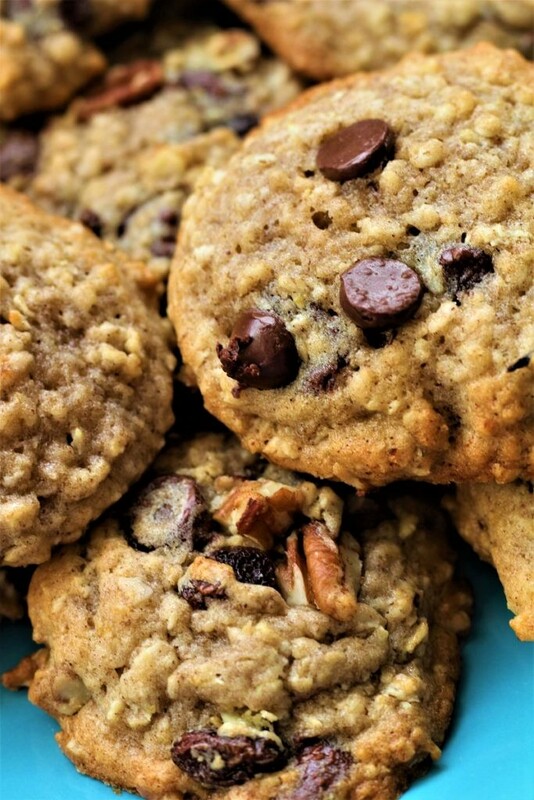 They are loaded with oatmeal and bananas, making them a little bit healthy. 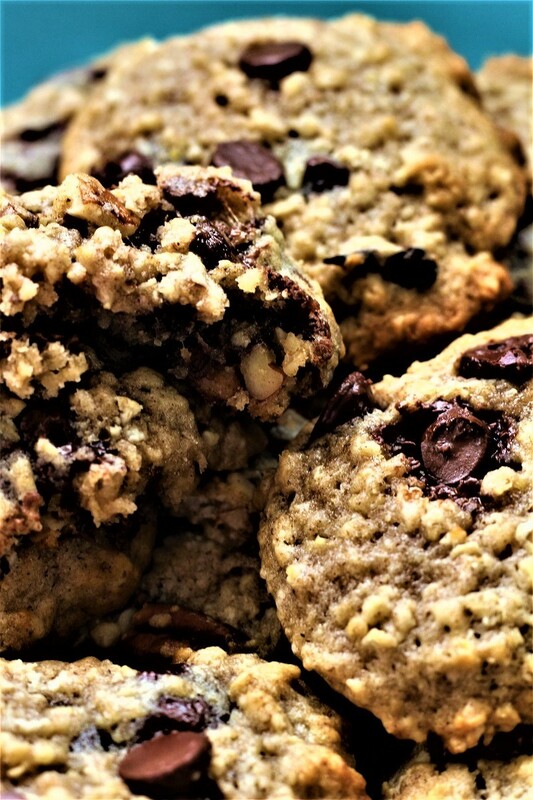 One can’t eat healthy all the time, but you won’t have to feel as guilty because you are getting a little nutrition in these yummy cookies. My sister-in-law is a great cook and so any time that you get a recipe from her, you know that it is going to be good. She also has some daughters that are following in her footsteps and they make some fantastic dishes as well. 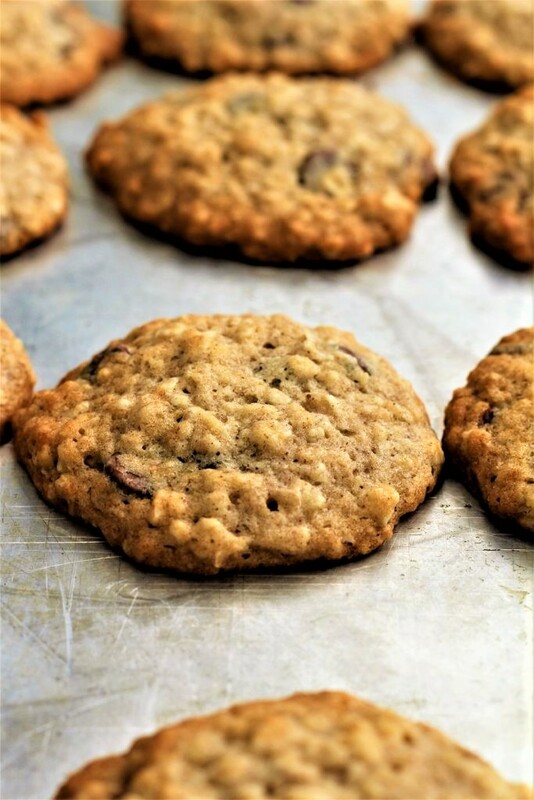 I like these cookies because sometime you just need a little change from the regular chocolate chip cookie. Also you can use ether instant oats or quick oats. 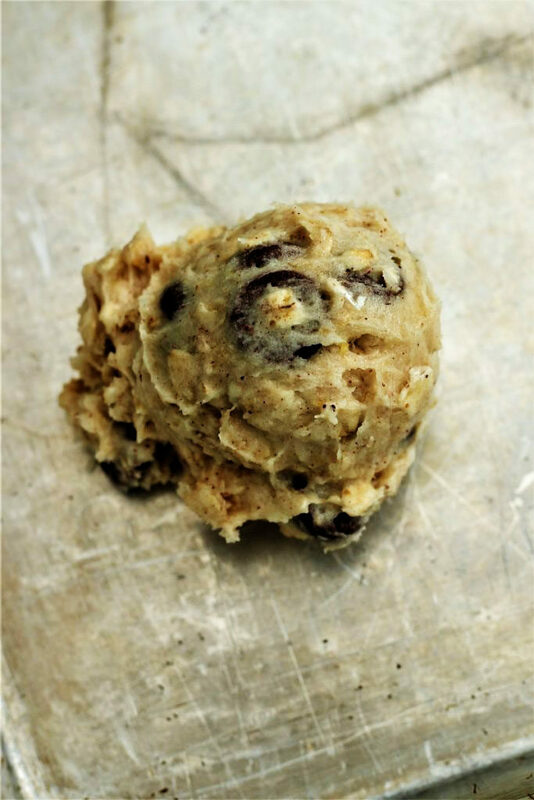 I used quick, and if you are really nice and your husband likes raisin you could also put a few of them in as well. I had to laugh the other day, my son bought a new home and after he finished with the bank he comes home and he knocks on my door. (Knock, knock, knock). Then he comes in the house and he says, “I guess that I am a guest now”. He is a funny kid. Also the neighbor asked him if he even had any towels and he told her, I got some towels for Christmas and my mom said that I could have a fork and so I think that I am in pretty good shape. Ha ha. I have three sets of silverware and I decided since I will only have my husband, myself and my youngest at home, I do not need three sets of silverware. So I decided to get out my good set that I just store in a box and we only use at Thanksgiving, Christmas and birthdays, and start using it. So there you go, I am giving him a set and using my silverware that I got from Betty Crocker. Did any of you save Betty Crocker coupons and get yourself some of that silverware? I guess it is really some stainless steel ware. It isn’t really real silver. But you know what I mean. And now, I better find him a mixer so that he can make his own oatmeal banana cookies! In a large mixing bowl, combine butter and sugar. Cream until nice and fluffy. Add egg and bananas and mix well. Add flour, salt, cinnamon, soda and oats. Mix until just combined. Bake at 350 degrees for 10 - 12 minutes. And they are good for us right because they have oatmeal. You are the best!!! These sound (and look!) absolutely scrumptious! They are a really good cookie. My sister in law is an amazing cook. I hope that you are having a great weekend!